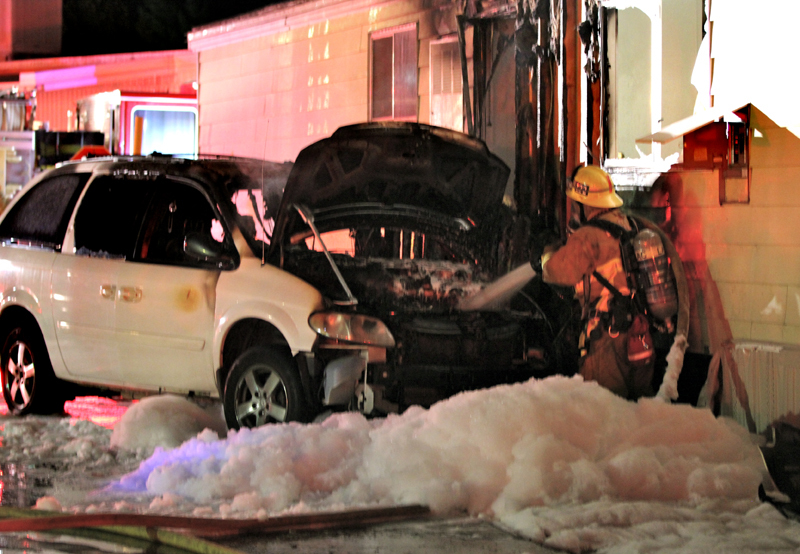 A Canyon Country resident drove over gas meter late Sunday night at the Granada Villa Mobile Park in the 18500 block of Soledad Canyon Road, touching off a fire that totaled his car and partially engulfed a home. It took about 25 minutes and 20 firefighters to get the situation under control due to the partial gas main rupture. Crews from Southern California Gas Co. shut off the gas to the unit, which was to be red-tagged. The official cause of the crash is under investigation.